A Yorkshire company is hoping to clean up with the launch of a revolutionary new removeable paint. Action Paint, which is the first product from York-based Renu-TPS and developed with support from Mercia Fund Managers, is due to go on sale in stores nationwide from early next year. 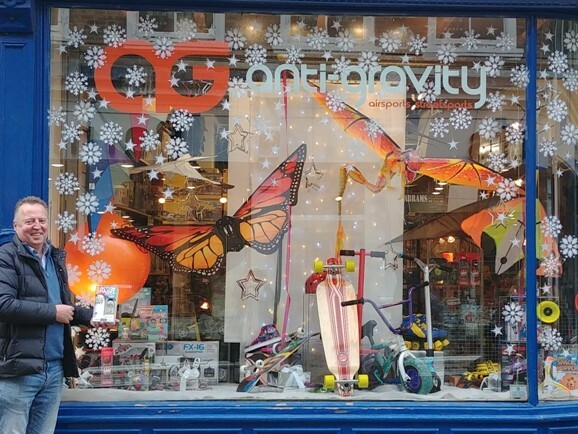 However in the meantime it is making its mark on the high street in a different way – to create festive window displays. “The spray needed to incorporate a pigment to show the areas treated but without leaving a permanent stain,” Peter said. Peter added: “Action Paint has proved very popular with the film industry and is increasingly being used on shop windows as it can be painted on the outside and will withstand the weather yet can easily be removed after Christmas.